UK-based cryptocurrency gift card retailer Pockio has announced its international expansion to Germany and France, with more EU countries to come in the weeks ahead. The move means that bitcoin and altcoin users in those countries can shop at retailers not yet accepting digital currencies. Initially, the platform opens up companies such as Amazon.fr and Amazon.de, Steam and Skype to European mainland cryptocurrency consumers. However, while France recently got its own bitcoin advocacy centre, La Maison du Bitcoin, the country doesn’t yet have a notable bitcoin scene. Roberts is not discouraged, indicating that in time this will change. Pockio also announced today that it has added a number of new retailers to its UK platform. The firm now boasts 177 retailers accessible from Britain, such as Amazon, the Google Play store, Marks & Spencer and Spotify. Big-name new additions to its roster include Ryan Air, American Apparel, H Samuel and Zynga. Along with the addition of extra gift cards, Pockio has also improved its platform, cutting the order wait time. Orders can now be processed after just one confirmation on the bitcoin network, meaning that cards are delivered much sooner. Additionally, the checkout process has been simplified to make buying with cryptocurrencies a more user friendly experience. “Once you’ve got to grips with how to buy bitcoin in the first place, spending it is as easy as it would be at any other online store,” said Roberts. 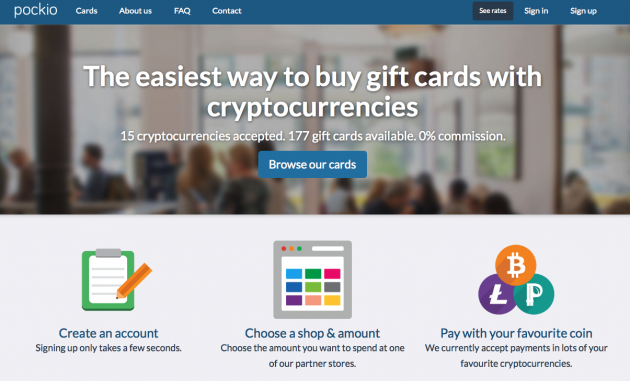 Launched in January 2014, Pockio was, at the time, the first British service to exchange retailer gift cards for digital currencies. Notably its original roster of eight cryptocurrencies accepted has now increased to 15, including dogecoin, litecoin and feathercoin, along with bitcoin. 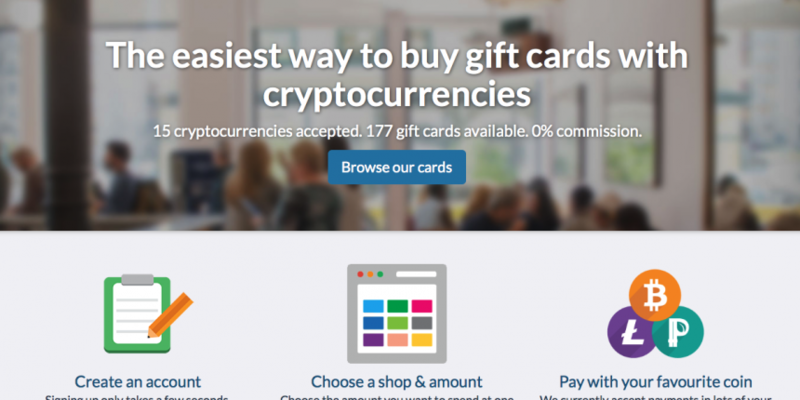 While there are a number of US-based cryptocurrency gift card companies, such as Gyft and eGifter, the European market is still very small, with just the likes of Crypto de Change preventing Pockio having the region all to itself.